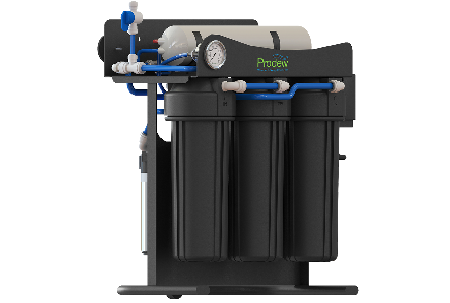 Prodew Reverse Osmosis Systems are designed to remove 97% of minerals! Larger RO systems are available upon request. 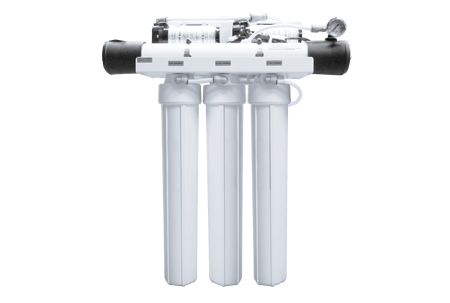 We can provide full-store filtration systems, as well as other filtration options. 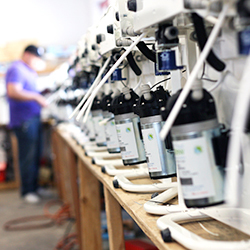 The RO100 is Prodew's standard filtration systems for our retail humidification systems. It's simple and is the perfect solution for 8-24 ft display cases. This system can process up to 100 gal per day, which is more than adequate for most system lengths. Including an RO system in your store will help to reduce mineral accumilation on mirrors, cases and other components of your produce displays. The RO150 is the ideal solution for misting and humidification systems. This system can process up to 200 gal per day, which is more than adequate for most system lengths. The RO300 can process a much larger volume of water than our other options - up to 300 gal per day. It is the ideal system for larger store displays. The RO300 also helps to reduce mineral accumulation on mirrors, cases and other components of your produce displays.